MORE DEVELOPMENTS on the Gospel of Jesus' Wife: This is the weekend and I have other things to do than blog, but a few things of interest have come up. Mark Goodacre has published two more essays by Francis Watson. The Daily Mail has taken up Watson's rejection of the authenticity of the GJW. Harvard Theological Review may not publish King's article after all according to the AP. UPDATE: At Rogue Classicism, David Meadows has a thorough roundup of the story from beginning to the present. He also has some observations about the relatively neglected other side of the fragment. CRASIS is a research institute dedicated to the study of Graeco-Roman Antiquity at the University of Groningen. It aims to advance interdisciplinary studies in the Culture, Religion and Society of the Graeco-Roman world. It focuses not only on the Greek and Latin cultures of Antiquity, but also on Ancient Judaism, Early Christianity, and other minority cultures that were part of Graeco-Roman Antiquity. Follow the link for details, and note particularly the call for papers for the Annual Meeting in January. THE STORY ON THE GOSPEL OF JESUS' WIFE continues to develop rapidly. James McGrath has another invaluable roundup of blog posts and media coverage, along with a fill-in-the-blank caption contest. And Mark Goodacre has a good summary post on the latest developments: The Gospel of Jesus' Wife: The Story is Moving Fast! As you can tell from my post title above, I share his disappointment that a television documentary is already in the works and evidently has been for months. We simply do not yet know enough about the fragment to warrant that kind of television coverage. Six of the eight incomplete lines of GJW recto are so closely related to the Coptic GTh, especially to Sayings 101 and 114, as to make dependence virtually certain. A further line is derived from Matthew; just one is left unaccounted for. The author has used a “collage” or “patchwork” compositional technique, and this level of dependence on extant pieces of Coptic text is more plausibly attributed to a modern author, with limited facility in Coptic, than to an ancient one. Indeed, the GJW fragment may be designedly incomplete, its lacunae built into it from the outset. It does not seem possible to fill these lacunae with GTh material contiguous to the fragments cited. The impression of modernity is reinforced by the case in line 1 of dependence on the line-division of the one surviving Coptic manuscript, easily accessible in modern printed editions. Unless this impression of modernity is countered by further investigations and fresh considerations, it seems unlikely that GJW will establish itself as a “genuine” product of early gospel writing. The Jesus of the Secret Gospel likes to consort naked with young men at night, while seeming hostile to women. By contrast, the new gospel fragment has Jesus speak disconcertingly of “my wife”. Has this new heterosexual Jesus been created to complement [Morton] Smith’s homosexual one? UPDATE: James McGrath is not persuaded by Watson's arguments: Is the Gospel of Jesus’ Wife a Fake? It occurs to me we've missed something that Watson's argument really does demonstrate: that the text of this fragment (whether ancient or modern) was composed in Coptic, not translated from Greek. The Nag Hammadi Gospels and related texts were translated from Greek. So this is at best a late, not an early 'Gnostic" text, dependent on the Coptic version of Thomas. Not, therefore late 2nd century, as Karen King suggests. Richard also offers some support for my Zeitgeist argument here. Also, over at Hypotyposes Steven Carlson avers that Roger Bagnall should have a higher opinion of the ingenuity of forgers: Brief Thoughts on the New Coptic Fragment. ON THE GABRIEL REVELATION STONE: Claude Cohen-Matlofsky, Hazon Gabriel: A Social Historian’s Point of View (Bible and Interpretation). It seems that the “Hazon Gabriel” constitutes documentary evidence of the practice of teaching from a text copied on a plastered stone following a tradition found in the Old Testament. I am surprised that the essay has no reference to the Balaam Text from Tell Deir ‘Allā. Background on the Gabriel Revelation (Vision of Gabriel) is here and here and links. UPDATE: Bad links now fixed. Sorry! BACKGROUND: Behind The Name On The Cover: Jerome Schottenstein And His Sponsorship Of The ArtScroll Talmud (The Jewish Press). More background on the ArtScroll/Schottenstein Talmud is here and here and links. THE GOSPEL OF JESUS' WIFE is getting endless attention in the media and the blogosphere, but I don't see very much today which adds anything new. As far as I know, no papyrologist has come out in favor of its authenticity or even pointed to another ancient papyrus fragment that shares its odd features. So it looks to me as though we have a small fragment that really, really fortunately preserves just the words that say exactly what we really, really would like to have an ancient gospel fragment say about Jesus. Coincidentally, the physical features of the fragment are also highly unusual or even unprecedented. So we've won the lottery twice. Either that or it's a fake. James McGrath has produced an excellent roundup of media and blog coverage: 2 Jesus’ Wife. Elaine Pagels, a professor from Princeton University who is an expert on gnostic writings such as this one, noted to CNN, "You can find boxes filled with Coptic fragments." But what makes this one significant is for the first time, it explicitly has Jesus referring to "my wife." 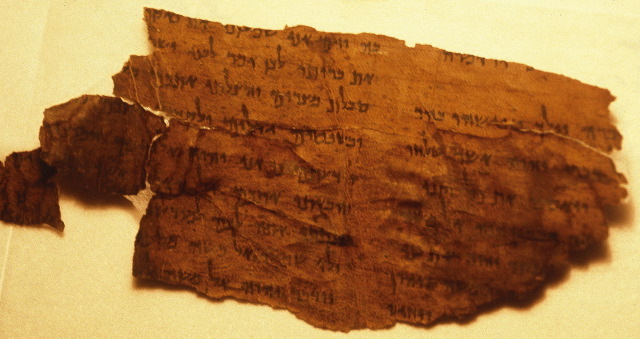 Some experts in the field, including Pagels, suggest the fragment contains too little to be faked, suggesting that a forger would have included much more in the document to try and raise the value. I have not seen the exact wording of anything Professor Pagels may have said, so I don't know how accurately her views are being related. But the argument, whoever is making it, is very weak. The forger, if it is forged, produced just enough to accomplish the objective (fake an ancient gospel with Mary of Magdalene as Jesus' wife and disciple). Why include more text? If it were accepted as genuine as it stands now, it would already be fantastically valuable in terms of the antiquities market, and each new line of forged text would make it increasingly likely that the forger would make a slip and be detected. But let's keep in mind that we actually already have a text that mentions Jesus' wife. It is the Gospel of Philip. We already know that there were some early Christians, in particular the Valentinian Gnostics, who taught that Mary Magdalene was Jesus' consort or wife. They wrote about it in the Gospel of Philip. So my current judgement, which seems to be what most people are thinking, is that the Gospel of Jesus' Wife fragment is very likely a fake. If it is genuine, it tells us what one late apocryphal tradition speculated about Jesus, but nothing about the historical Jesus. I will continue reporting as new discussion of interest comes up. UPDATE: Tom Verenna has had some of his doubts about the physical characteristics of the fragment assuaged: Two Days Later: Another Evaluation of the ‘Jesus Wife’ Papyrus. UPDATE: Dirk Jongkind notes that if the fragment is genuine, it appears to have been deliberately cut out of a larger context in modern times, presumably by the dealer. What, he wonders, if that was done because the larger context would have ruined the sensational effect the fragment now has? That would take a very clever (and lucky) dealer indeed, but who knows? with 75% of the regular weekly working time (currently 29.85 hours per week) commencing January 1st, 2013. The position is limited to two years and may be extended by a third year after successful evaluation. Payment will be according to pay grade 13 TV-L. The appointee to the position will be responsible for the acquisition of external-funding for a project chosen and administered by the successful candidate. The topic has to be Qumran studies. The fellow will further be expected to teach a 2-hour course each semester within the Faculty of Theology. The language of instruction can either be German or English. The position is housed under the umbrella of the Centrum Orbis Orientalis et Occidentalis, a centre jointly funded by the University and the Göttingen Academy of Sciences. A close co-operation with the Department of Hebrew Bible/Old Testament, with the Department for Qumran-Studies at the Faculty of Theology and the research projects of the Academy of Sciences such as the Edition of the Septuagint (Septuagintauntemehmen) and the Qumran-Lexicon is expected. The applicant should have a completed doctorate (Dr. theol., Dr. phil, PhD) with particular focus on Qumran-Studies or ancient Judaism in one of the following subjects: Hebrew Bible/Old Testament, New Testament, Judaic or Religious Studies. Applications of candidates from abroad are explicitly welcome. The University of Göttingen is an equal opportunities employer and places particular emphasis on fostering career opportunities for women. Qualified women are therefore strongly encouraged to apply as they are underrepresented in this field. Persons with disabilities will be given preference when equally qualified. From the Agade List and Eibert Tigchelaar. CAMBRIDGE -- A Harvard professor has identified what appears to be a scrap of fourth century Egyptian papyrus that contains the first known explicit reference to Jesus as married, a discovery that could fuel the millennia-old debate about priestly celibacy in the Catholic church. The fragment, which has been preliminarily authenticated but still must undergo further testing, portrays Jesus as referring to a woman as his legitimate disciple -- most likely his wife, whom the text’s author probably believed to be Mary Magdalene. The text is not evidence Jesus was married, said the professor, Karen L. King, a historian of early Christianity at Harvard Divinity School, who is scheduled to discuss her discovery at an international gathering of Coptic scholars in Rome on Tuesday. But she said it may cast new light on the history of early Christianity, including the formation of Christian views of celibacy and whether women were members of Jesus’s inner circle, issues still intensely relevant to the Catholic church, which allows only celibate men to be priests. “The issue has far from gone away,” King said. The fragment is smaller than a business card, and appears to have been torn from the middle of a page of a codex, or primitive book, written in a southern Egyptian dialect. Its owner, who declines to be identified publicly, does not know where it was found. It contains just eight broken lines, scrawled in a crude Coptic hand. The text does not prove that Jesus had a wife, King emphasized. Even if it is actually a translation of a second century Greek text, as King theorizes, it would have been composed more than a century after the death of Jesus. The earliest and most reliable information about the historical Jesus is silent on the question of his marital status, King said. “It’s not saying we’ve got the smoking gun that Jesus is married,” she said. In March 2012, King tucked the papyrus into her red leather bag along with her iPad and boarded a train to New York, where she and [papyrologist AnneMarie] Luijendijk, a former student of King’s, met [papyrologist Roger] Bagnall at his office. They sat for several hours around a table, looking at the fragment under magnification and different kinds of light, noticing different details and talking through possible scenarios. The fibrous, dual-layered material was clearly papyrus, an ancient Egyptian precursor to paper made of the pith of a plant that grew along the Nile. It seemed to be ancient; the pith, which makes the smooth writing surface, had worn off, along with the ink, on one side. They could see a spot where a tiny insect appeared to have nibbled at the surface. Ancient papyrus is available for purchase on the antiquities market, however, so King and her colleagues had to figure out whether the ink was applied in ancient times or by a modern forger. Infinitesimal details suggested it was genuine: Tiny fibers shredding from the sides of the paper contained almost invisible traces of ink from lost letters. Damage to fibers after they had been inscribed suggested the ink had been laid on the surface long ago, not recently. The handwriting, workmanlike and laid on with a nubby pen, seemed to date to the 4th century. Its irregular, blocky script is more common in private letters -- and quite unusual for a literary text, Bagnall said. But it is also plausible, he said, that it was the work of an unskilled scribe with a poor pen. See also the New York Times: A Faded Piece of Papyrus Refers to Jesus' Wife; Karen King's own website on the fragment, which links to a downloadable draft of her article: The Gospel of Jesus's Wife: A New Coptic Gospel Papyrus; and this brief video by Professor King about the fragment: "Jesus said to them, my wife." My take? I am ... wait for it ... skeptical. Professor King has done everything right and she is taking a very reasonable line of optimistic skepticism, but there's one point that I've seen no one raise so far and which Professor Bagnall in particular misses in the quote above: this fragment is exactly, exactly, what the Zeitgeist of 2012 would want us to find in an ancient gospel. To my mind that weighs heavily against its authenticity. Of course I hope I'm wrong and that it is genuine, and that is certainly a possibility, but this is equivalent to winning big in the lottery and that should make us nervous. It is too perfect. As Larry Schiffman put it, "The most exciting things are the things most likely to be forged." My working hypothesis at the moment is that someone who knew what they were doing went to a lot of effort using a piece of ancient papyrus to create a remarkable forgery. Where do we go from here? The next steps are, first, to conduct the tests on the ink: if it demonstrates it to be the same chemical composition as ancient Egyptian ink, that will strengthen the case for authenticity considerably. Second, Professor King's article needs to be published in the Harvard Theological Review and evaluated by specialists around the world. I suppose it would also be possible to carbon-date the fragment, but this would at most show the date of the papyrus, not the writing, and the fragment has been taken out of its putative original context and moved around enough that it may now be thoroughly contaminated and un-dateable by such means. But with any luck we will be able to come to a consensus view in the next few years either for authenticity or against. We may never know the answer for sure, or we may come to a consensus that is either conclusively confirmed or conclusively refuted sometime in the future when a new technology is able to test factors that could not have been foreseen in 2012. If it is genuine, it seems to be the earliest mention (fourth century or possibly somewhat earlier) of the idea that Jesus had a wife, which is of considerable importance for early church history. But it has no bearing on the actual question of whether the historical Jesus had a wife. Some of the headlines are not clear on this point: "Was Jesus married? Papyrus may give clue" (Houston Chronicle) and "'Proof' Jesus was married found on ancient papyrus that mentions how son of God spoke of his wife and Mary Magdalene" (The Daily Mail, which at least uses scare quotes for "proof," although not actually quoting anyone) and Jesus Had a Wife, Newly Discovered Gospel Suggests (LiveScience; true but the phrasing is misleading). I have commented on the question of whether Jesus was married here. Pretty much the entire Biblioblogosphere is abuzz with the news. I haven't tried to read all or even very many of the posts, but I note good substantive posts by Mark Goodace (The Gospel of Jesus' Wife) and Jared Calaway (New Gospel Fragment: Preliminary Notes and Hypothesis) and a roundup by James McGrath (Coptic Text Mentions Jesus’ Wife). Also, Alin Suciu is now at The Tenth International Congress of Coptic Studies where Karen King presented her paper on the fragment yesterday. On Facebook he has promised a blog post on the authenticity issue when he returns from Rome. He thinks it's a fake. UPDATE: I note that Mark Goodacre does raise the Zeitgeist issue in the link above. I am not, however, persuaded by his comparison with The Gospel of Judas, which is genuine and which, granted, did fit in a general way the Zeitgeist's desire for counter-gospel traditions. But the Gospel of Jesus' Wife is a whole new level of Zeitgeist correspondence, playing into the widespread (not just Dan Brown) meme that Jesus must have married Mary Magdalene; also to the desire to find some stratum of feminist equality in the early church which can serve as authoritative precedent for equality in the modern church; and also to the desire to undermine the Catholic tradition of a celibate clergy. It is just too perfect. Moreover, The Gospel of Judas illustrates my point in another way. When it was published, it was immediately read as presenting a sympathetic Judas who was not evil after all—a Judas congenial to our Zeitgeist. Subsequent research has called this conclusion very seriously into question on philological grounds. (Background here and links.) We must always be especially wary of both interpretations and discoveries that tell us what we want to hear. Also, at a Nag Hammadi Facebook Group, Louis Painchaud, who is also at the Coptic Congress in Rome, has called for caution and indicated, as has Alin Suciu, that the script of the fragment doesn't look real, nor does the way it is cut. And apparently others at the Congress are questioning its authenticity. (Pointed out by Mark Goodacre.) Note that Painchaud was one of the first, if not the first, to challenge the initial interpretation of The Gospel of Judas and to find in it a good old traditional evil Judas. There are also problems with the story of the provenance of the new fragment. Again, noted on Facebook by Mark Goodacre, who had been independently making similar points. To be clear, I am not suggesting that Karen King forged this fragment, nor as far as I know is anyone else. I am confident that she has in all honesty and good faith brought to light a text that was given to her by someone else, and she has handled the whole situation entirely properly. But I am not alone in thinking that there is good reason to doubt that the fragment is authentic. UPDATE: The AP registers skepticism: Harvard claim of Jesus' Wife papyrus scrutinized. Alin Suciu and other specialists are quoted. Also, Tom Verenna sees problems with the physical characteristics of the fragment: The ‘Wife of Jesus’ Fragment a Day Later: Some Concerns About Authenticity. During the course of the last several hours, I have attempted to understand the reaction of various persons within the coptological community here at the International Association of Coptic studies conference. My initial perception is that those who specialize in Nag Hammadi and early manuscripts are split with about four-fifths being extremely skeptical about the manuscript’s authenticity and one-fifth is fairly convinced that the fragment is a fake. I have not met anyone who supports its authenticity, although I do not doubt that there must be some. He then goes on to explain in detail why he thinks the fragment is probably a forgery. UPDATE (20 September): More here. VICE: When did you first surmise that our reality could be a computer simulation? Rich Terrile:Unless you believe there’s something magical about consciousness—and I don’t, I believe it’s the product of a very sophisticated architecture within the human brain—then you have to assume that at some point it can be simulated by a computer, or in other words, replicated. There are two ways one might accomplish an artificial human brain in the future. One of them is to reverse-engineer it, but I think it would be far easier to evolve a circuit or architecture that could become conscious. Perhaps in the next ten to 30 years we’ll be able to incorporate artificial consciousness into our machines. These are interesting speculations, but they are just speculations. Note in particular, the first clause, "Unless you believe there’s something magical about consciousness," which is a roundabout way of saying you don't understand what consciousness is and neither do I, therefore I'm going to run with my assumptions. Fair enough, but assumptions they remain. We have no theory of consciousness that has any explanatory value or that could lead to the ability to replicate it artificially. To say that it is an emergent property of sufficiently complex computation is to commit the fallacy of obscurum per obscurius, explaining one thing we don't understand (consciousness) by something else we don't understand (emergent properties) and it simply sidesteps the real problem of why some hunks of matter (or at least the one I'm in) acquire a sense of "me-ness." Moreover, complex computation and even mentation are not by any means necessarily connected to consciousness. Anyone who has experimented with Raja Yoga (and, really, who hasn't?) has learned that most of the thought processes running in their own mind are unconscious and are only briefly illuminated from time to time by the narrow sliver of consciousness that inhabits their mind and flits about it to use the mental processes as needed. It may be that (1) consciousness is indeed the central processing unit of the physical brain—but we can't show yet why the CPU has its own sense of existence distinct from the mind. It may also be, as the ancient yogis thought, (2) that consciousness (which they called the purusha) is something external to the material world and cannot be explained in material terms, in which case we will not find an explanation of it. Lots of metaphysicians have problems with the idea of immaterial entities, but I'm enough of a Platonist that they don't bother me too much. It is also possible that (3) there is an explanation of consciousness in material terms, but because we process everything through our consciousness, we are in principle unable to understand the explanation any more than we can look in our ear with our eye. If 2 or 3 apply, we won't be populating any simulated worlds with conscious beings. We not only do not understand consciousness, we also don't have any way to measure it. The Turing Test is a side issue. At best it would measure the ability to think, which is not the same as consciousness. Also, in practice, even today some chatbots can fool people into thinking they (the chatbots) are human. So the case remains to be made that increases in computational power will eventually pass some threshold that creates conscious AI and allows us to simulate worlds with conscious creatures in them. But as, if memory serves, Nick Bostrom pointed out years ago, that doesn't preclude the simulation argument. The universe may indeed be a simulation with a limited number of player characters inhabiting it (me at least, plus you if you are reading this), but with everyone else as non-player characters who are simply realistic simulations with no internal consciousness. I return to the simulation argument from time to time, because similar ideas are at the basis of ancient Gnosticism (the kind associated with the demiurgic myth): the universe is the flawed creation of a fallen creator and we are Pleromatic (heavenly, more or less) sparks of light that have become trapped in the material muck. The object of the game is to gain the knowledge (gnosis) that will allow us to escape from the fallen created world and return to the Pleroma. You seem really at peace with this concept. When I first heard about your theory I was incredibly bummed but, obviously, intrigued. I find great inspiration in it, and I’ll tell you why: It tells me that we’re at the threshold of being able to create a universe—a simulation—and that we in turn could be living inside a simulation, which could be in turn yet another simulation. And our simulated beings could also create simulations. What I find intriguing is, if there is a creator, and there will be a creator in the future and it will be us, this also means if there’s a creator for our world, here, it’s also us. This means we are both God and servants of God, and that we made it all. What I find inspiring is that, even if we are in a simulation or many orders of magnitude down in levels of simulation, somewhere along the line something escaped the primordial ooze to become us and to result in simulations that made us. And that’s cool. That's a much more positive take on Gnosticism, with demiurges all the way down, so to speak. Who knows, maybe the Gnostics or (and?) the simulationists are right. Call me when you have a real theory of consciousness. Background on the simulation argument and Gnosticism is here with many links. I’m happy to announce that Jodi Magness has agreed to join us on the Biblical Studies List for a colloquium (discussion) on her just published volume, The Archaeology of the Holy Land: From the Destruction of Solomon’s Temple to the Muslim Conquest. It’s available in paperback from Amazon for $28. A bargain. - Get the book, and read it. Then, when the time comes, you’ll have the opportunity to interact with Prof. Magness and other leading scholars on the contents. Another colloquium with Avraham Faust is scheduled for December. Follow the link for details.